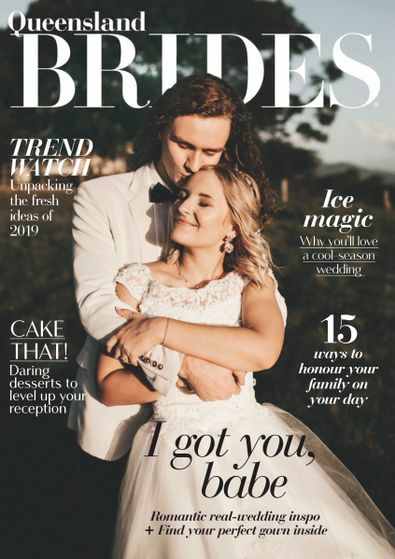 Since 1984, Queensland Brides magazine has been helping brides to plan the wedding of their dreams. Every issue features tips and stories to help you plan the wedding of your dreams, plus the latest bridal gown designs, the best wedding photographers, the perfect venues for a reception celebration and idyllic honeymoon destinations. And don't miss our special features, covering everything from bouquets, cakes and hair and beauty to wedding transport and fashion for grooms, bridesmaids ... even mothers of the bride and groom! This is a bi-annual publication. The magazine will be delivered in February & August. Your subscription will begin with the next available issue.